A bug is a software defect caused by inaccurate or inadequate logic which can result in a program breakdown. Buggy programs can affect the program functionality and generate incorrect results. Hence a bug tracking tool or system is required to identify the defects and capture them. A bug tracking tool is nothing but a software application that has a databank as its major component. The databank records various facts regarding the known bugs. Using a bug tracking tool, the administrators can configure the status of the bug and figure out how the bug can be eliminated. A good bug tracking tool is the essential asset of an excellent software development business. Airbrake Bug Tracker is an appropriate software for issue tracking, error handling, and exception handling. It helps mobile and web software developers design excellent products by generating extensive reports on errors, bugs, and exceptions along with their occurrence time and the code involved. The Mantis Bug Tracker has got the crown when it comes to bug tracking. It has been developed both for the web and the mobile as well. The Mantis software has been written in PHP and it is absolutely free to be used. However, a certain amount of fees is charged for hosting. But that is quite reasonable. Bugzilla is a highly acclaimed open source software for bug tracking. Developed by the Mozilla team, it is the very first web-based defect tracking tool. It has many powerful features like time tracking, advanced search options, and detailed reporting. The functionalities of Bugzilla are appreciated and used by many large corporations. JIRA is a widely recognized and used bug tracking tool. It offers many advanced features of bug reporting and recording. JIRA is not only limited to software development but rather it is also used in leave management applications and help desks because of its ability to track almost all types of issues. 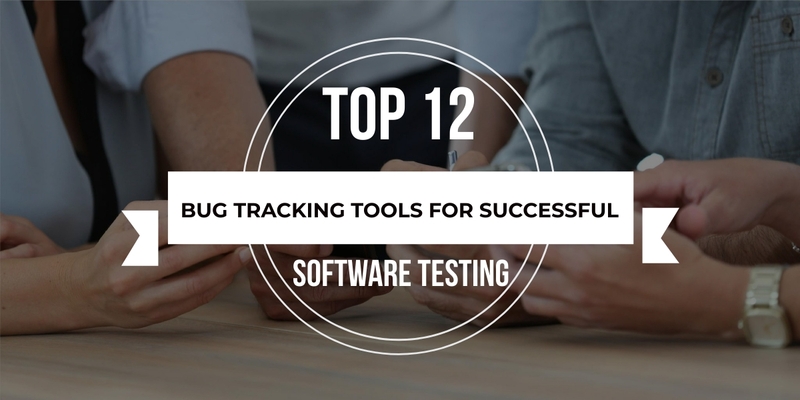 This bug tracking tool promotes several add-ins which support extensibility. The Zoho Bug Tracker is used commonly all over the world. It is basically a module of the Zoho Project. Though this software product is commercial, yet it is not that expensive. It has got all the features that are generally looked for in a good bug tracking tool. FogBugz refers to faults as “cases”. Here, the materials of the project are created on the basis of indicators. This enables evaluation of the cases as they progress. FogBugz is quite easy to use. It has got all the required features of a bug tracking tool. Lighthouse is a well-known and widely used software defect tracker. It is web-based as well as compatible with mobile devices. This bug tracking software is very simple and highly organized. Here, all the issues are denoted as “tickets”. Lighthouse features an activity space, milestones, etc. It also allows users to store online the project document in the Lighthouse interface itself. Trac is an issue management software with an enhanced wiki. Apart from bug tracking, Trac can also be used for documents and requirements management. Some of the advanced features of this software are- a broad spectrum of plug-ins, the ability to build Milestones and Project Roadmaps, and Hyper-linking information. Fossil is basically known as a Software Configuration Management (SCM) tool. Apart from tracking bugs, Fossil is also used for project management. It also features an enhanced wiki. Fossil features a built-in easy web interface. The YouTrack bug tracking tool features a smart search option and can detect defects very quickly. It promotes enhanced project monitoring accompanied by powerful reporting. The reporting methods supported by it are- timeline, time management, state transition, and issue distribution. Pivotal Tracker is a cloud-based bug tracking tool that is generally used in agile software application development. This bug tracking software is used more in small to medium businesses. With Pivotal Tracker, developers can link external applications, enabling total management of their complete project. Being highly flexible and strongly agile, the Pivotal Tracker can improve productivity profoundly. Axosoft is a widely used agile platform for project management. This bug tracking tool ensures transparency and helps deliver completely bug-free and functional software. Using Axosoft, the developers can plan effective development methods, collaborate easily, and render excellent outcomes on time. Apart from bug tracking, Axosoft also features incident tracking, data visualization, and workflow automation. An excellent and effective bug tracking tool is compulsory for developing a successful project. Hence, investing in the bug mentioned above tracking systems should be a big priority of all the businesses working in the IT sector. These defect tracking software will not only render completely immaculate software products but also increase business productivity. 9 Out of 10 companies cannot bring their products to the market on time ? Are You One of Them? Contact Us Now!